Use the appropriate tool, remove the plug. Do Not remove the cylinder clamp screw completely from the housing, unscrew the screw to a hard stop, releasing the cylinder from the housing. 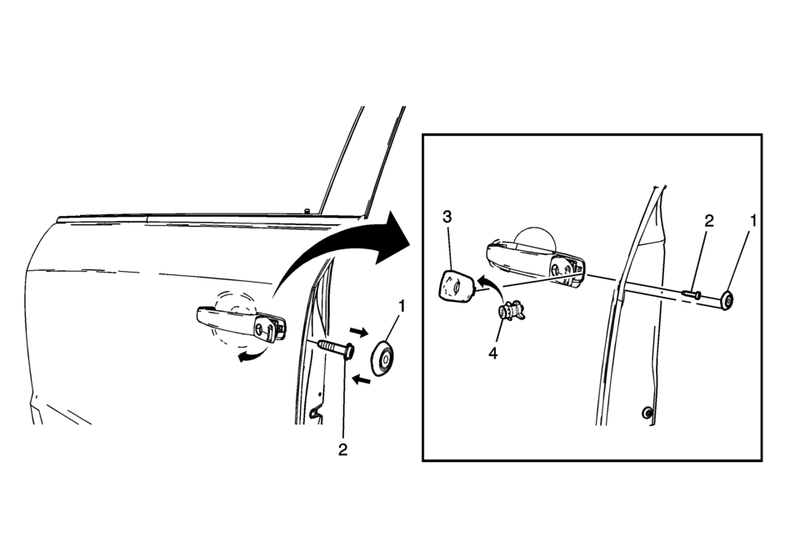 It is not necessary to remove the outside door handle or housing to replace the lock cylinder. Remove the lock cylinder cover. Refer to Front Side Door Lock Cylinder Opening Cover Replacement. Ensure that the lock cylinder gasket is in place when installing the lock cylinder to the handle. Inspect the lock cylinder for proper operation.